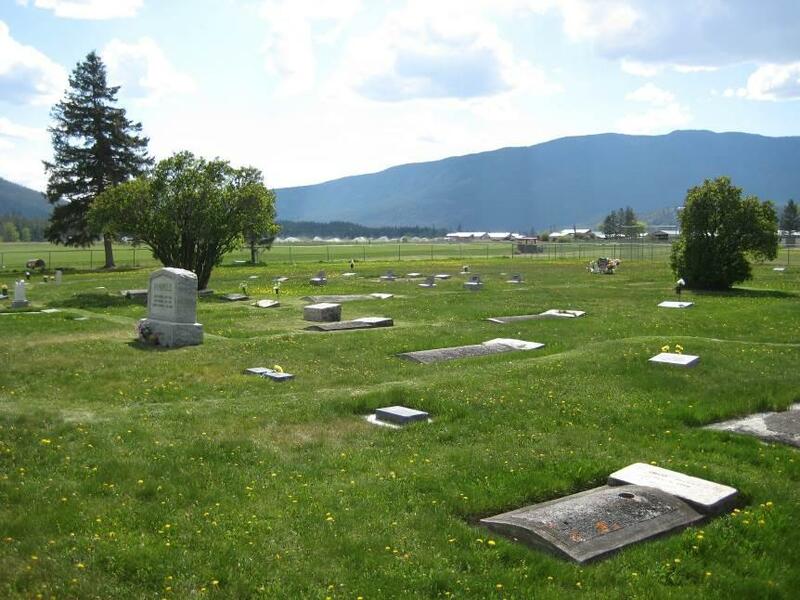 The following is a transcription of the Westwold Cemetery located in Westwold, British Columbia, Canada. 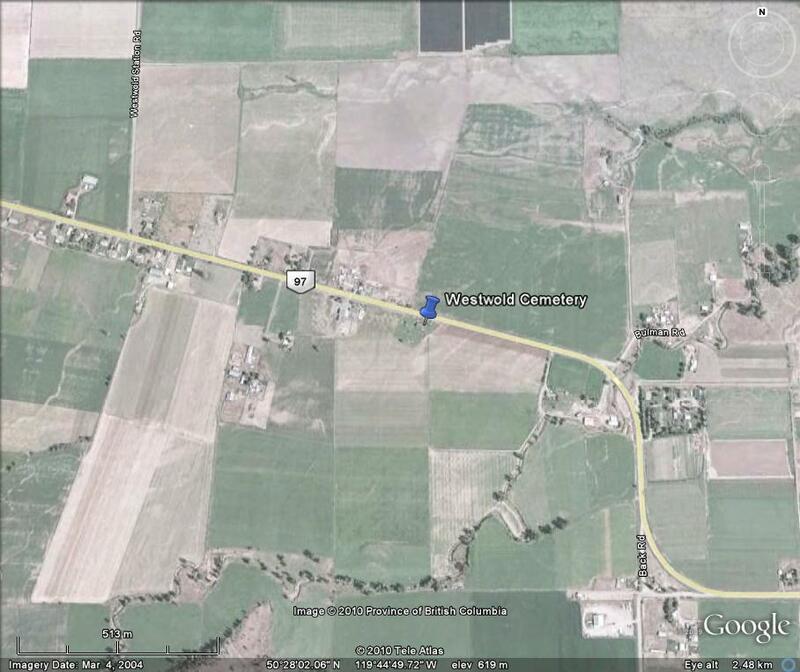 Latitude: 50o 28' 02.49" N.
Longitude: 119o 44' 48.09" W.
From the 1800's until 1926 the community of Westwold was known as Grande Prairie. Settlement in the area began in the 1870's, with the Pringle, Kirkpatrick, Jones, Currie, Clemitson, Clemes and Ingram families. 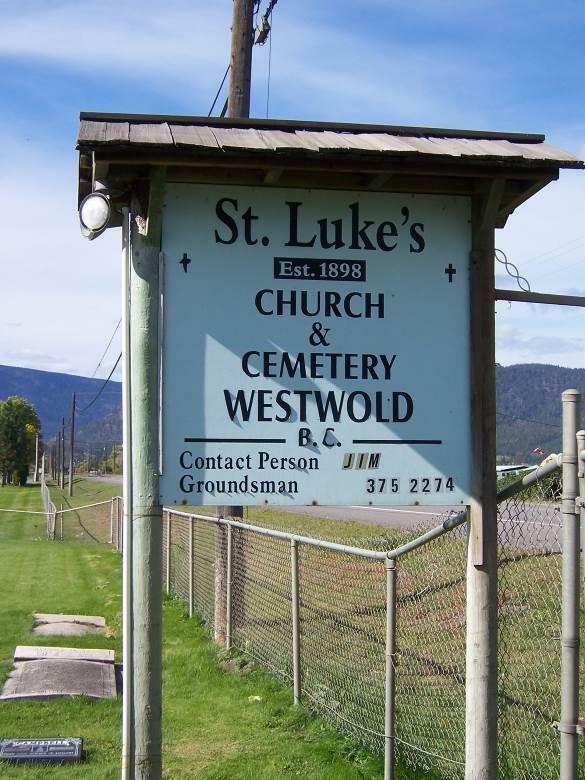 The Westwold Cemetery is a private cemetery beside St. Luke's church. It is still in use today. The cemetery is fenced with a latched gate at the entrance. 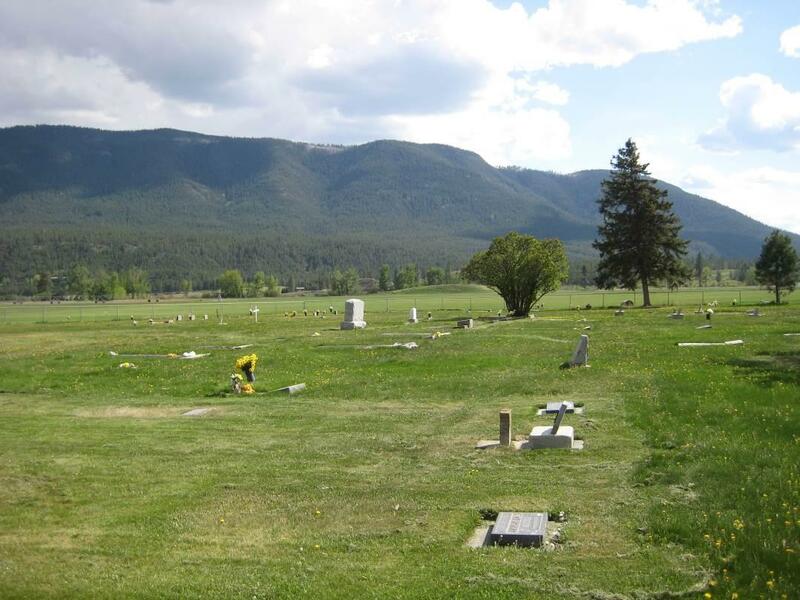 It has two sections consisting of one large area of over 400 plots and one cremation section. It is laid out in east/west blocks of 16 rows. There are 21 marked graves and 25 unmarked graves. The graves are levelled and there is a combination of markers including: upright raised markers, flat markers, bronze markers as well as slate, marble, concrete and wooden markers. The cemetery is well maintained. 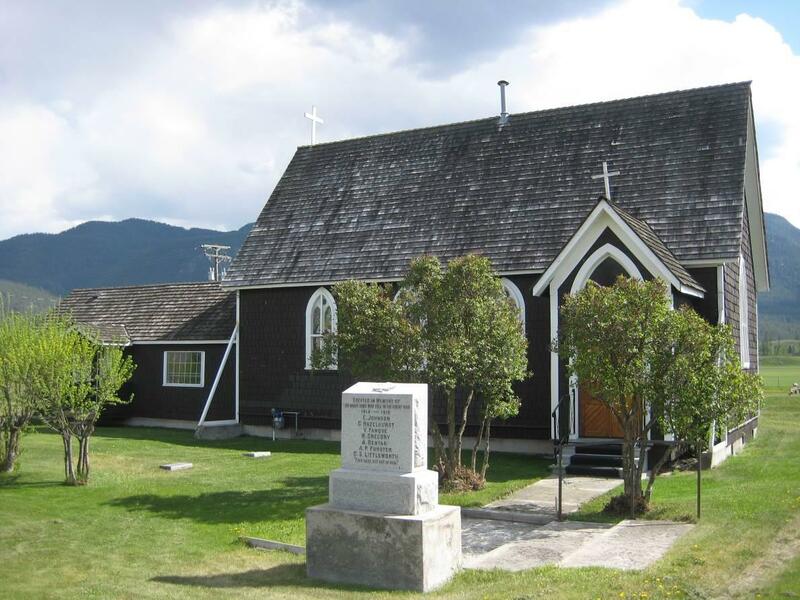 St. Luke's Church and Cemetery are situated on the south side of Highway 97, next to Westwold Elementary School. Church of England. Grand Prairie with Ducks, Shuswap & Chase Parish Records. Young, Margaret F. Quelle Grande Prairie, history of Grande Prairie, Adelphi and Westwold. 1994.